The tower is compromised, along with the rest of the Last City. The Light of the Traveler has been stolen by the detestable alien force know as the Cabal in a surprise all-out assault on humanity. Regroup with the forces of the Tower and the Last City, collect loot, upgrade your Guardian's skills , and fight together with friends to take back what has been lost at the hands of Ghaul, the fiend who leads the Cabal. The forges introduced in Destiny 2's Black Armory DLC should play a part in how players craft the exotics that are returning from the original Destiny. Be ready to take on the latest Raid with this guide designed to keep you spoiler-free and ready to dominate. Get into the holiday spirit with these current and upcoming winter updates to your favorite games. Destiny 2 players no longer have to wait a long time for new things to do, thanks to the game's new seasonal content system. 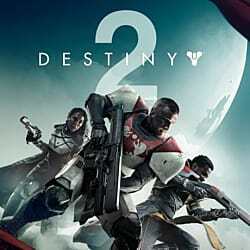 Grab a copy of Destiny 2 free on Battle.net for a limited time. It's yours to keep. A handful of Reddit users have steadily put together links showing the return of the Cosmodrome to Destiny 2, along with the exotic, Thunderlord. Want to jump into some spooky limited time events for extra loot? We'll show you all the best Halloween events running across the gamingverse in 2018! Bungie shares news about Destiny 2's Halloween event, Festival of the Lost. Here's what you can expect. Gambit's a deep, complex game mode, but you'll have an edge over the competition when you invade using the tips in this article. Destiny 2's Gambit mode is the franchise's take on PvPvE, and it delivers. Learn how to dominate the PvE side of Bungie's newest addition to competitive multiplayer. Wondering which weapon to use during the Last Wish raid in Destiny 2? Here are five suggestions that may work the best for you. Can't find the lost sector Excavation Site XII? We show you the quickest way to get there for the new Forsaken bounties! Can't remember where the heck The Drain is located? We show you how to quickly track down this lost sector for new Forsaken bounties! Get yourself an exotic hand cannon, Ace of Spades, with the help of our step-by-step guide to Destiny 2. Learn how to get all three types of elemental orbs to fully upgrade your Solstice armor in this guide to Destiny 2. Learn how to get all the Seraph weapons in the "Warmind" DLC with the help of this guide to Destiny 2. Battle Royale is everywhere, but that doesn't mean it should be. Here are five games that shouldn't have a BR mode. Love is in the air as Destiny Crimson Days arrive. Destiny's 2 Valentine's event resurrects a popular map from days of old. Destiny 2’s 1.1.2 patch drops today, bringing with it the return of Iron Banner. What Makes Destiny 2's XP Gaf So Dirty?